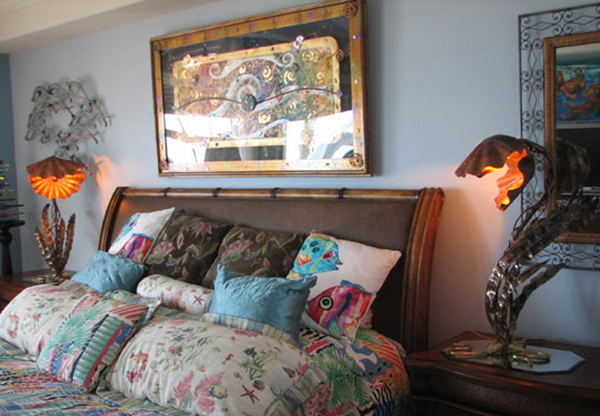 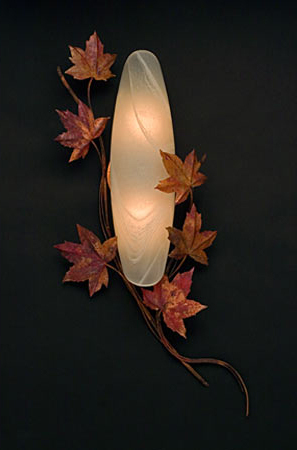 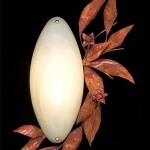 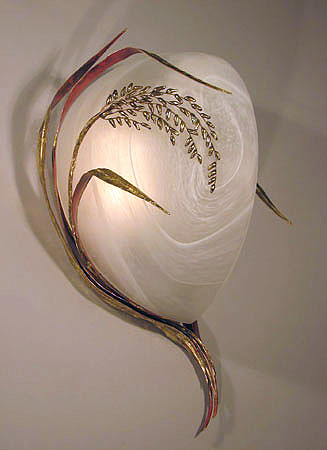 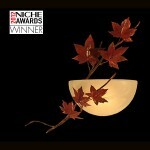 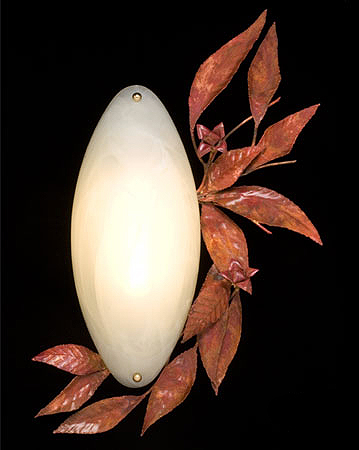 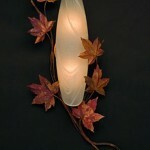 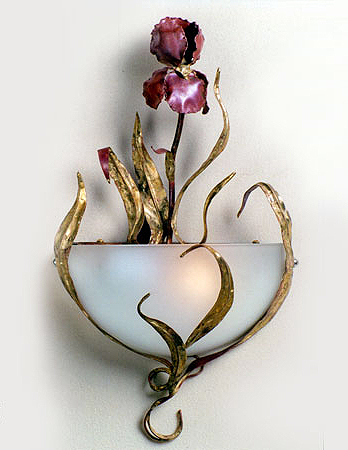 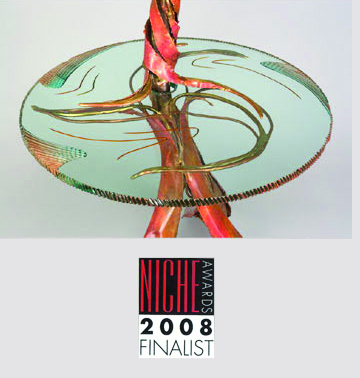 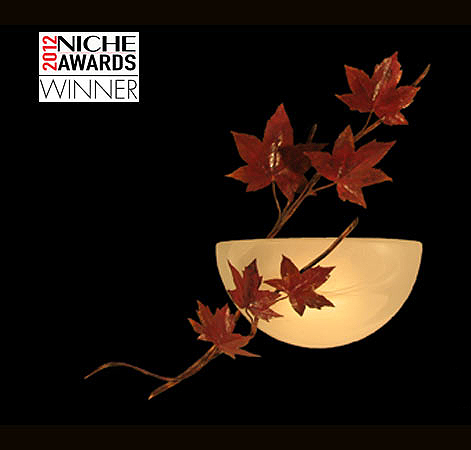 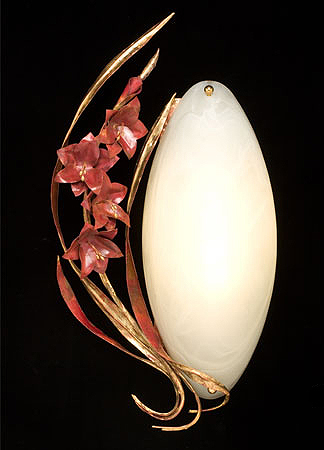 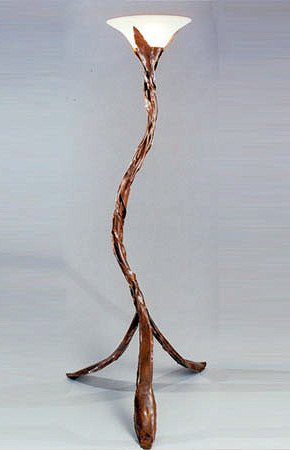 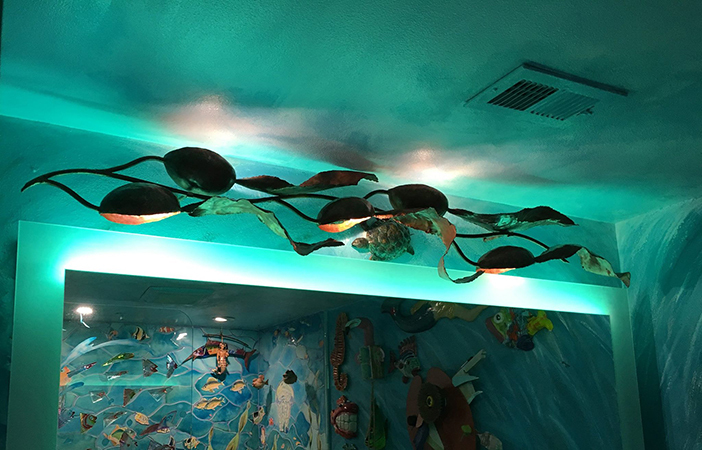 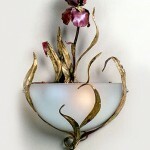 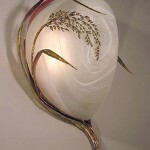 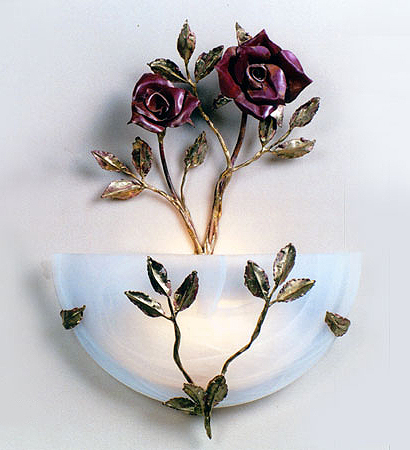 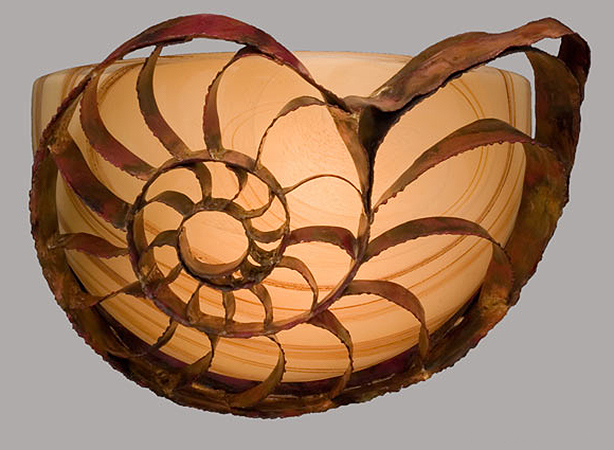 My NICHE Award Winning sculptural wall sconces, nightstand lamp and touchier floor lamps make wonderful interior home lighting fixtures and the exterior light illuminates the entryway. 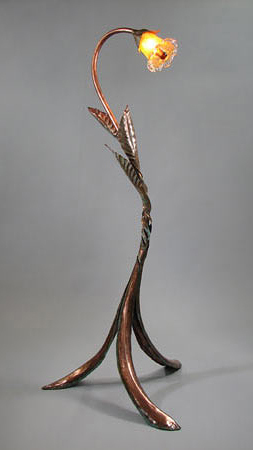 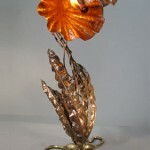 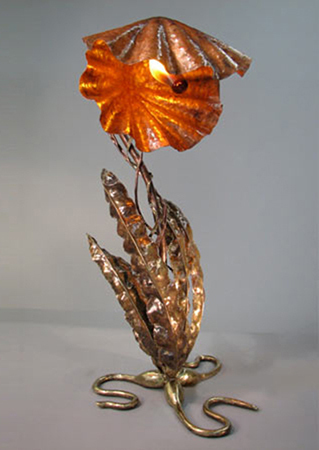 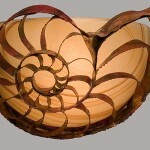 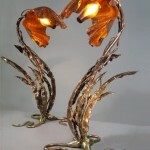 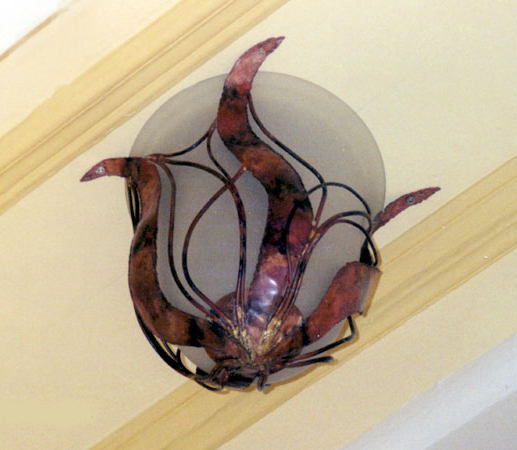 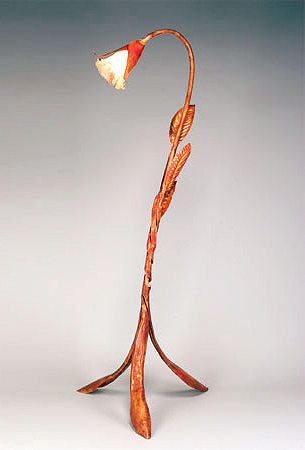 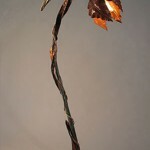 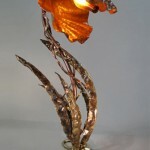 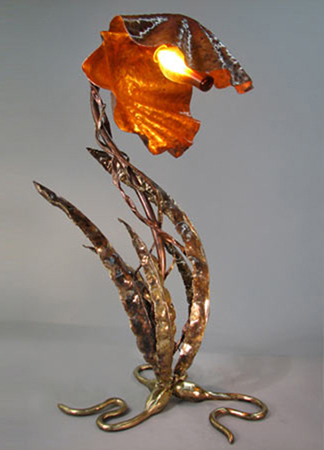 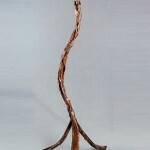 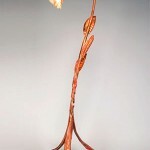 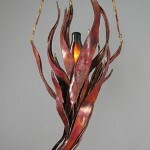 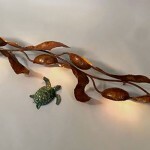 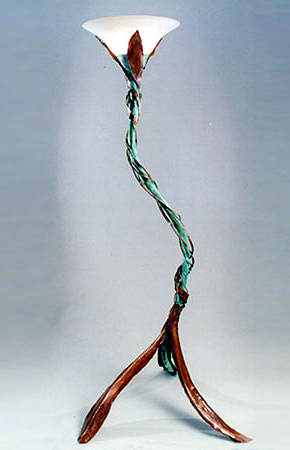 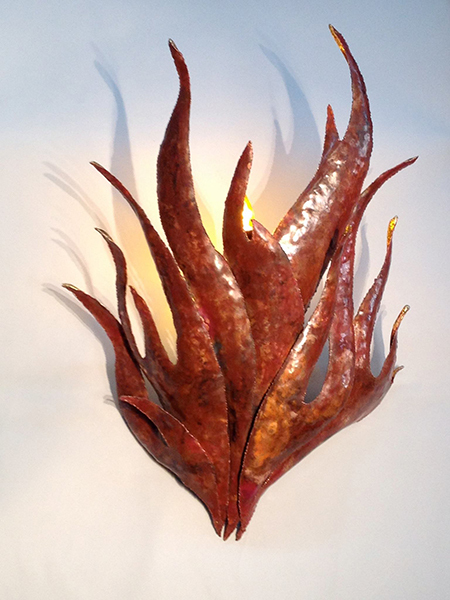 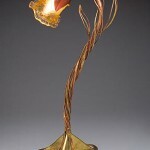 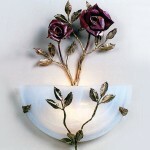 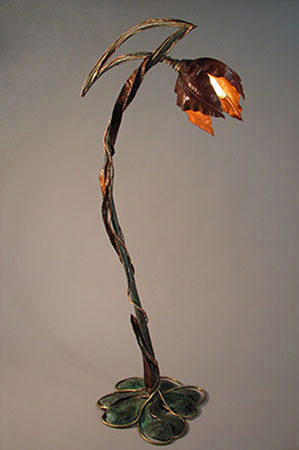 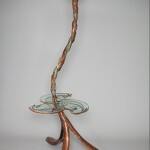 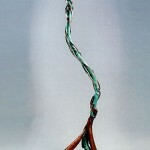 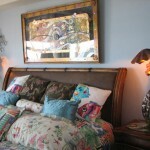 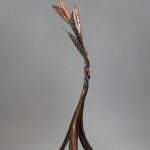 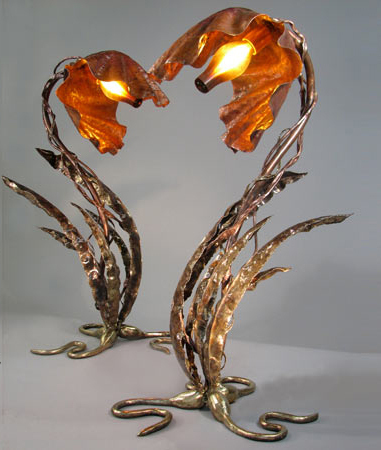 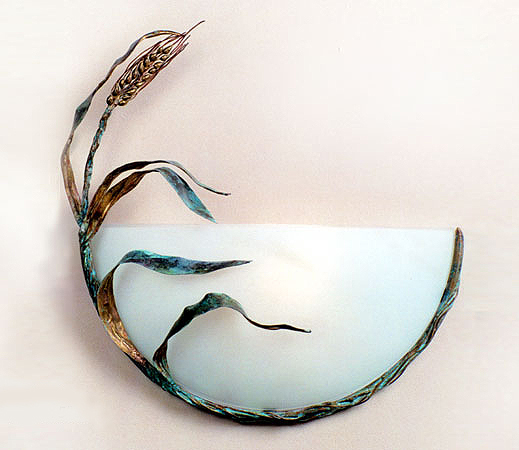 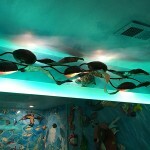 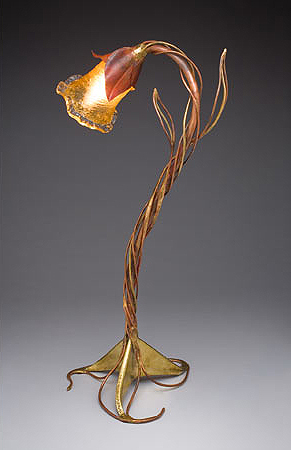 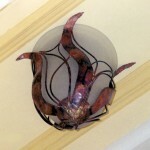 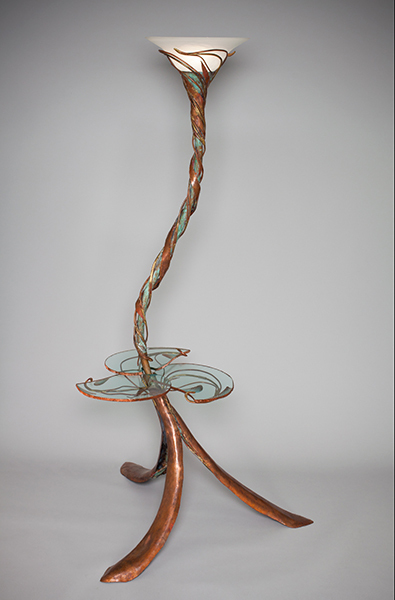 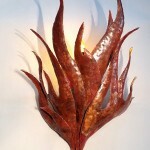 These welded copper and bronze handmade metal art pieces have a patina and have been heat-treated. 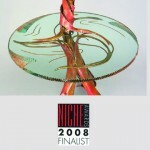 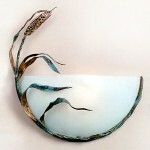 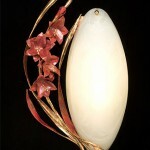 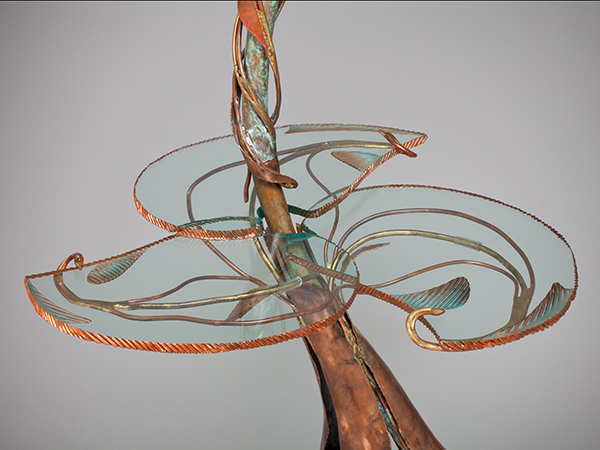 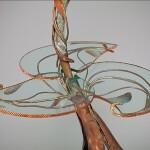 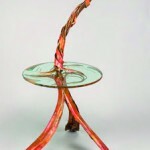 The addition of the glass tables are made by my husband Alisha Volotzky glass artist. 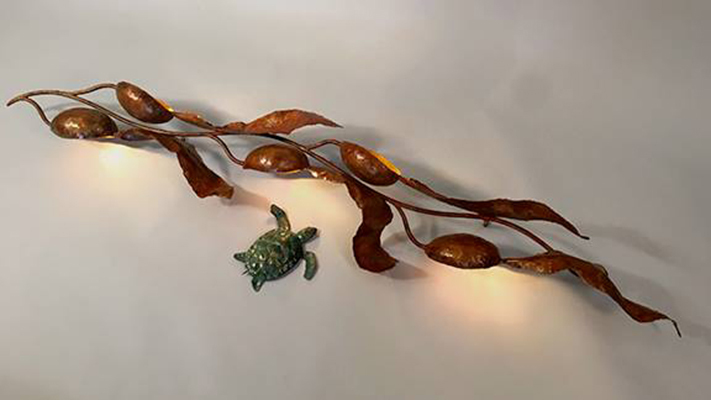 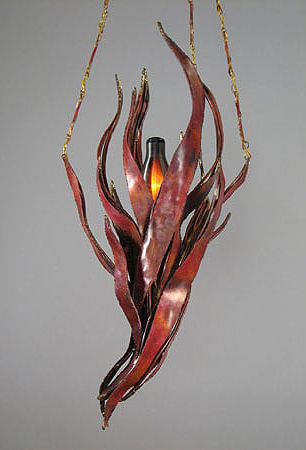 If you would like to purchase some thing from my website or have me create something to light up your home, email rkapmetalaartist@aol.com or contact me at 30516 Mulholland Hwy Cornell CA 91306, 818-706-2373.